If you’re thinking of moving to the United Kingdom, there are a few things you should know about before you head over there. 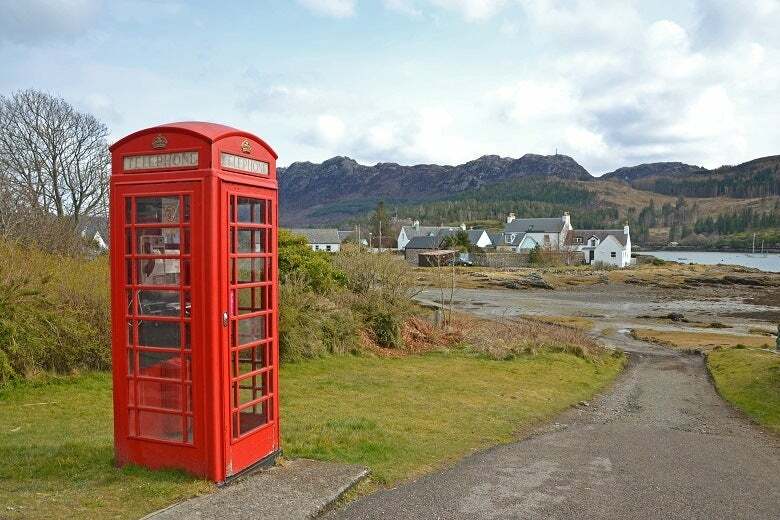 Settling into a new country is much easier if you’re ready for the culture shock; we want to prepare you for everything the UK has to throw at you, from pubs and chippies to some truly bonkers traditions. Many people (even some Brits) think that ‘the United Kingdom’ and ‘Great Britain’ are two names for the same place. This is not the case. Great Britain is the mainland of England, Wales and Scotland, while the United Kingdom is all of this plus Northern Ireland. We’re not saying this doesn’t make Northern Ireland great – it’s just not Great. Got it? Things will be a little more cramped than what you’re used to back in Oz. Australia is about 32 times larger than the UK – everything will suddenly feel a lot closer, and it won’t take five days to drive across the country. However, the UK population is nearly 67 million – more than twice the size of Australia’s 25 million – which doesn’t make any sense at all. Everyone in the UK has a very clear sense of whether they’re a Northerner or a Southerner (except people from the Midlands, who don’t really get involved). There are loads of stereotypes that you’ll probably get sick of hearing about, such as Northerners being more friendly and blunt, and Southerners being softies who can’t handle the cold. Choose your side carefully (you’re not allowed to like Blur and Oasis). Despite Hollywood’s best efforts to prove otherwise, not all British people speak the Queen’s English. People in the Home Counties (those surrounding London) might sound a bit posh, but most regions of the UK have their own very distinct accent. Amongst other sounds, you’ll find Brummy lilts (in Birmingham), Scouse twangs (in Liverpool), and Geordie drawls (in Newcastle), not to mention the unique voices of Glasgow and Belfast. If you haven’t understood someone the third time, just nod and laugh. It’s not just the accents that change; across the country, you’ll find different words for the same thing. Brits really aren’t in agreement about what to call a bread roll: is it a bap, a cob, a barm, a bun, a butty, or a breadcake? It depends on where you are in the country. It’s the same with your evening meal, which most Northerners like to call ‘tea’ and most Southerners like to call ‘dinner’. The children’s game of tag can also be known as tig, tuggy, tip, tick, dobby, ‘catch case’, or ‘had he hit’. You’ll be surprised how often that one comes up. The Brits haven’t really decided between imperial or metric, so they use a baffling blend of both. Kilometres and grams are commonly used, but there’s an awful lot of traditionalists in the UK who just won’t let go of the old fashioned measurements. You can expect to encounter yards, feet, acres, gallons, ounces and pounds – and if anyone asks you how tall your horse is, you’ve got to tell them in ‘hands’. One of the fun things about the UK is just how very old everything is. You can barely go two minutes without bumping into a plaque telling you why somewhere was significant several centuries ago. It makes you feel like you’re living in one big outdoor museum, except you’re allowed to touch most of the stuff. There are castles, palaces, ancient forests, pagan monuments, battlefields, Roman ruins, Tudor houses, and stacks more. The UK can be a real time portal. The National Health Service is the UK’s pride and joy. Way back in 1948, the Brits thought it would be cracking idea to make healthcare accessible for everyone, so that’s exactly what they did. The idea is still a popular one today, and the NHS provides health services funded by income tax. This means that private health insurance is just an optional extra, if you’ve got the cash. There’s a lot of debate in the UK about whether the NHS should be privatised, which would be a great thing to bring up at your first British dinner party. The UK has some lovely towns and cities, but it’s the stuff in between them that really makes the place unique. 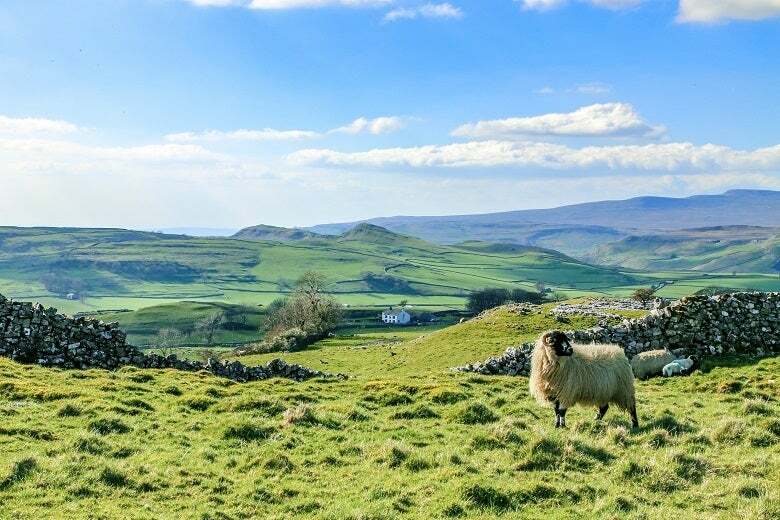 If you find yourself in regular need of a countryside fix, the UK will be a keen supplier. It’s a land of forests, hills, mountains and meadows, ranging from the Scottish Highlands, through the Lake District and the Yorkshire Dales, down to the Pembrokeshire Coast, the Cotswolds and the iconic White Cliffs of Dover. Just make sure you bring a coat. While ‘the United Kingdom’ sounds impressive, you’ll encounter some pretty ridiculous place and street names once you get here. Some people in the past just didn’t take things seriously enough, and now other people are paying for it. For example, there’s a Boggy Bottom in Hertfordshire, a Twatt in Orkney, a Nob End in South Lancashire, a Scratchy Bottom in Dorset, a Crotch Crescent in Oxford; the list could go on for a long time. If you’re having a confrontation with someone in the UK, then you’re doing it all wrong. The most important English word is ‘sorry’; nothing else matters. When two Brits bump into each other, it’s all about who can apologise the most. Everyone’s just exceedingly sorry to each other for everything, and that’s exactly the way they like it. You should also be careful of self-praise; push it ever so slightly too far and you’ll be ‘blowing your own trumpet’, i.e. people will hate you. Stay humble. Another essential part of the British politeness code is queuing. If a group of three or more people are waiting for something, they will immediately form a line and establish an order. When more people arrive, these people will unswervingly join the queue. You don’t want to stand too close to somebody, but you need to be close enough to show that you are indeed part of the queue. Cutting the queue is terrible behaviour… not that anyone will confront you about it (but boy will you feel the scowls). Yes, it’s always time for tea. Also known as a ‘cuppa’ or a ‘brew’, most Brits find tea to be a daily biological requirement. Mid-afternoon is a popular time for putting the kettle on, but any time of the day is acceptable. People love telling each other how much they need a cup of tea, and there’s some serious debate about whether milk or water should be poured in first. Learn how to make a good cup of tea, and you’ll be very popular at work. Hold on. Tea is still big, but coffee is rocking the boat. In 2015, a survey by the Department for Environment, Food & Rural Affairs basically gave the UK an existential crisis: it found that, since 1975, weekly tea consumption per person per week in the UK has dropped from 66g to 24g, while coffee consumption grew from 18g to 21g in the same period. The rich, roasty smells and caffeine-fuelled kicks of coffee are slowing tearing Brits away from tea, but tea hasn’t quite let go just yet. Nobody’s sure exactly why, but roast dinners just taste so much better on Sundays. The Brits enjoy a long-held tradition of tucking into a roast dinner every week, with families congregating for a plateful of potatoes, carrots, Yorkshire puddings, beef, and lashings of gravy. It’s hot and comforting, which is generally the only thing people care about by Sunday evening. The French jokingly refer to the English as rosbifs (roast beefs), although the wave of vegetarianism sweeping across the UK means the nickname might need updating soon. Pretty much everywhere in England has a fish ‘n’ chip shop; it doesn’t matter if you’re near the sea or not. Known as a ‘chippy’ by literally everybody, British fish ‘n’ chip shops are basically a national institution, serving up battered cod and haddock to everyone who wants it (and can pay for it). If it’s a proper chippy then the batter will be crispy, the chips will be soft(ish), and the metal counter will be too hot to touch. Northerners like to put curry sauce on their chips, but Southerners think that’s weird. Fortunately, everyone can agree on mushy peas, sea salt and vinegar. In some places you can also get ‘scraps’ (small pieces of batter) and ‘pea wet’ (the watery leftovers of a mushy pea sauce). Brits like their booze, and pubs are essentially shrines to alcohol. They’re almost as common as houses in the UK, popping up on every street to serve the locals with a bit of ale and atmosphere. You’ll certainly find a wide range of pubs, so it depends on what kind of vibe you’re after. Countryside pubs tend to be charming affairs, with open fireplaces and leather armchairs, while inner city pubs can be loud and raucous. They’re also the place for quiz nights, football on television, pool tables, darts, crisps, nuts, and some jolly good banter. People in the UK go a bit barmy for footy. As Bill Shankly once said, “Some people believe football is a matter of life and death. I’m very disappointed with that attitude. I can assure you it is much, much more important than that.” Watching a ball get kicked around a field for 90 minutes on the weekend is hugely important to a lot of Brits. Then, once the 90 minutes are up, they talk about the football until the next game comes round. Football fans have a reputation for being a little rowdy and British fans are no exception, so you should stay away from certain pubs on the weekend. Unless ‘rowdy’ is exactly how you like it. Now and again, Brits get bored of football and cricket, so they invent something strange. There are bizarre local sports found up and down the country, so it doesn’t matter if the mainstream stuff isn’t really your thing. You could try bog snorkelling in Powys, snail racing in Norfolk, cheese rolling in Gloucestershire, caber tossing in Scotland, welly wanging in Yorkshire, and knob throwing in Dorset. Stop sniggering at the back. By now, you’re hopefully feeling a bit more prepared for the quirks of British culture. Stay polite, watch the football, get good at making tea, and you’ll be fine. If you’re thinking of moving over to the UK, fill in the form at the top of this page and our suppliers will get back to you with their best shipping prices.